Once diagnosed with cancer, a patient's life will never be the same. Once the turmoil of the diagnosis, and the subsequent treatment, whether it's surgery, radiation or chemotherapy, is over life as we know it now commences. There are ups and there are downs. Luckily for me, the ups far surpassed the downs. Once diagnosed with cancer, a patient's life will never be the same. Once the turmoil of the diagnosis, and the subsequent treatment, whether it's surgery, radiation or chemotherapy, is over life as we know it now commences. There are ups and there are downs. Luckily for me, the ups far surpassed the downs. I made a decision to make the most of life after a cancer diagnosis. As a fresh five year cancer-free survivor, I have changed my eating habits quite substantially, and have kept up with the running that I had started about a year prior to my diagnosis. I also meditate, and have a much more positive mindset. Depending on the type of ride you get on, the climb could be high and the ride down can be steep and fast. This can be a scary prospect for some, and illustrates well how some cancer survivors experience life. Yes, even after a cancer diagnosis and treatment, a patient can be on quite a high. Life has been cruel in some ways, but the treatment was successful, and you have a new lease in life. Some patients feel, as I did, that there was a reason for this to happen, and life as we knew it turned out to be much better. Bad habits are dropped, negative attitudes changed for much more positive thinking, and many cancer survivors treat their bodies with more respect. But the ride can bring us down those fast a furious slopes as well. For me, during the months leading to my five year mark, I started feeling sorry for myself. I am a relatively young cancer survivor. Younger than the average. I have two teenagers, and one that is turning 13 in the Spring. I work more than full time at a job where I can put in over 80 hours per week. Keeping up with all my doctor appointments is like bending in half at the best of times. Now I don't pretend to know what goes on in the minds of other cancer survivors, but I would hazard a guess that I am not the only one who has gone through this. The good news is, the ride down was not a totally unpleasant experience, and my attitude would not let me wallow in sorrow for too long. I have kept up with my appointments, and have started training for a race that I will run in support of leukemia patients in Montreal next month. This week I had my latest check-up with my oncologist, and he was happy to inform me that all was well. While I was at the hospital, I ran into my pivot nurse, Dail, my rock (and rock to many others as well). It was nice to see her, and we had a really nice conversation about everything and nothing. 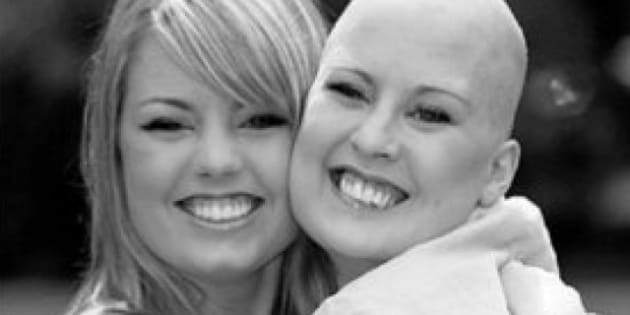 Although she has never had cancer herself, she was touched by it thorough close family members. As a result, her career as a nurse became focused on supporting cancer patients and their families. I have been very lucky to have people like Dail in my life. And that is what we have to remember as we careen down that hill: we still have so much to be grateful for, and there are many people around us who are happy we are in their lives. Keep up the positive attitude, no matter what! It will always be your friend, whether you are a cancer survivor, or not.